Why doesn’t Exhibits Management care more about sales leads? 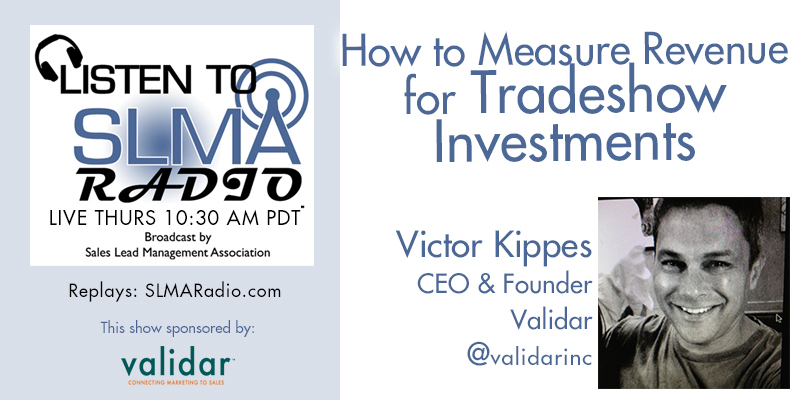 Host Jim Obermayer interviews Victor Kippes, CEO of Validar on the tough subject of the attitude of trade show managers about sales leads. Do they really care? Is their job just to show up and throw up (the exhibit of course) and then not care about the reason for the show? Victor Kippes is CEO of Validar Inc., a B2B lead management company that specializes in events. Much of Validar's value proposition is based upon Victor's experience as a receiver of leads. He has been in a sales role for over 20 years both as a direct contributor and as the leader of a large enterprise sales team. He is a recovering sales leader who understands very well the challenges marketing and sales leaders face specific to demand generation and lead management. If you are a marketing leader interested in understanding and articulating your true value, or a sales leader interested in improved conversions and pipeline growth, Validar and Victor are there for you. Validar provides B2B lead management solutions to large corporations and we specialize in events. If you are attending or producing an event / campaign with the primary purpose of driving new opportunities to your sales team, Validar can help. Its solutions lower cost by driving relevant lead follow-up activity to sales and increase revenue by reducing lead decay from campaigns. They enable their customers to identify, categorize and track new opportunities, pipeline and actual revenue contribution from their marketing efforts. Specialties: B2B lead management solutions for companies that attend or product events. 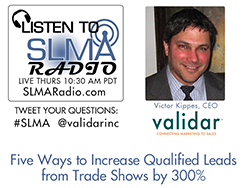 SLMA Radio host Jim Obermayer will ask Victor if the rumors of the demise in trade shows as a lead generation event is true? Are trade shows as strong as always? How can marketing manager make the most of their trade show investment? 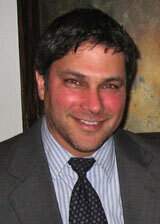 Victor Kippes is CEO of Validar Inc., a B2B lead management company that specializes in events. Much of Validar’s value proposition is based upon Victor’s experience as a receiver of leads. He has been in a sales role for over 20 years both as a direct contributor and as the leader of a large enterprise sales team. He is a recovering sales leader who understands very well the challenges marketing and sales leaders face specific to demand generation and lead management. If you are a marketing leader interested in understanding and articulating your true value, or a sales leader interested in improved conversions and pipeline growth, Validar and Victor are there for you. You can follow Victor on Twitter at @vkippes. About Validar Validar is a B2B Lead Management company that specializes in events. It doesn’t matter whether your exhibiting at a tradeshow, or producing your own event or seminar series. Since 2005, Validar Inc. has helped companies identify, qualify, and manage leads more efficiently and effectively. With our software and services, companies can capture highly qualified leads at the lowest cost and quantify the performance of their marketing efforts.